Hi Baklava!!! Glad you are back!!! I hope video turns up of C singing the NA yesterday at the basketball game. He sure was excited to see LeBron James. constantinemaroulis Yo @americanidol is ON!! Who’s gonna be #1 ??? She really cute. Her daddy cute. IT'S BACK!! Rock Kandy's Rock of Ages Cruise Around NYC! Friday, July 6, 2018, aboard the Majestic Princess. Boarding Starts at 7:00 PM, Sailing at 7:30 PM and Returning at 11:00 PM. Boarding Location: Lincoln Harbor Marina, 1500 Harbor Boulevard, Weehawken, New Jersey 07086. It's going to be nothin' but a good time...Featuring Rock Kandy, the 80s Experience. 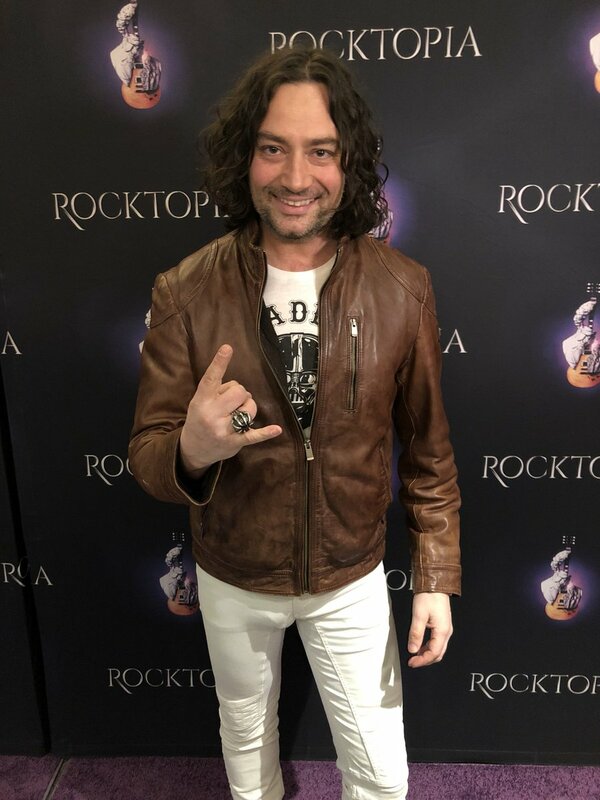 American Idol's Constantine Maroulis and Rock of Ages and special guest Neil Thomas of "White Tiger". Free Parking is available:You must arrive at LINCOLN HARBOR MARINA, 1500 Harbor Boulevard, Weehawken, New Jersey, 07086 a half hour prior to your boarding time. When guests arrive at Lincoln Harbor Marina they should follow the White and Blue Signs for "GUEST PARKING" and we recommend they allow extra time since they may have to park in the UBS Building, the entrance being on 19th Street across from the Sheraton Hotel. Access to the marina and Majestic Princess is at the gate located near the Spirit Cruise Ticket Kiosk and a marine officer will be at the entry to direct your guests to Vista Yacht Cruises dock and Majestic Princess. It's good to see him at an opening. He used to go to so many.